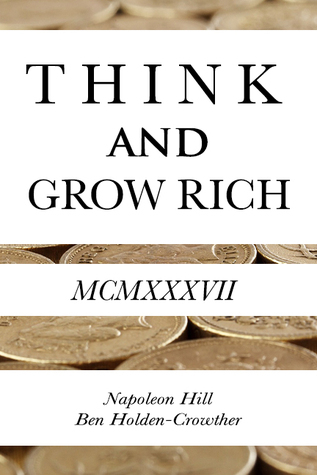 Written in 1937 by Napoleon Hill, Think and Grow Rich was inspired by the theories and practices of Andrew Carnegie, a successful businessman and philanthropist. Although some advice in this book is outdated and irrelevant, most of its teachings are timeless and can be applied to your life to help you achieve immense success. We have compiled a list of actions for you to try out so you can achieve success (including financial success! ), hone your leadership skills, and maybe even learn a little more about yourself. Try even one or two and you will see positive change start to take place immediately. Napoleon Hill was an American author in the area of the new thought movement who was one of the earliest producers of the modern genre of personal-success literature. He is widely considered to be one of the great writers on success. His most famous work, Think and Grow Rich (1937), is one of the best-selling books of all time (at the time of Hill's death in 1970, Think and Grow Rich had sold 20 million copies). Hill's works examined the power of personal beliefs, and the role they play in personal success. He became an advisor to President Franklin D. Roosevelt from 1933 to 1936. Ben Holden-Crowther is an English publisher and internet entrepreneur. He is best known for the publication of revised editions of classic non-fiction works.